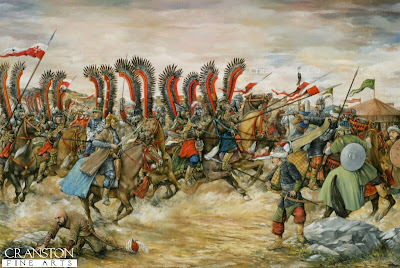 Polish Winged Lancers - Battle of Vienna, September 12th1683 by Brian Palmer. In an attempt to expand into Europe, Ottoman Turks under the command of Grand Vizier Kara Mustafa laid siege to Vienna for two months. A coalition of Polish, German and Austrians led by John III Sobieski, the King of Poland, arrived before Vienna to raise the siege. Sobieski led a charge of 20,000 cavalry, including the fearsome Winged Hussars into the Ottoman camp and completely routed their army. The battle was over in three hours, the Turks fled the field leaving behind tents, weapons, battle standards and provisions. The threat to Europe had been reversed, and this battle signaled the beginning of the end for the Ottoman Empire. 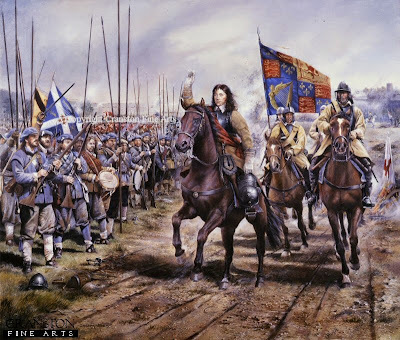 Battle of Worcester, 3rd September 1651 by ChrisCollingwood. 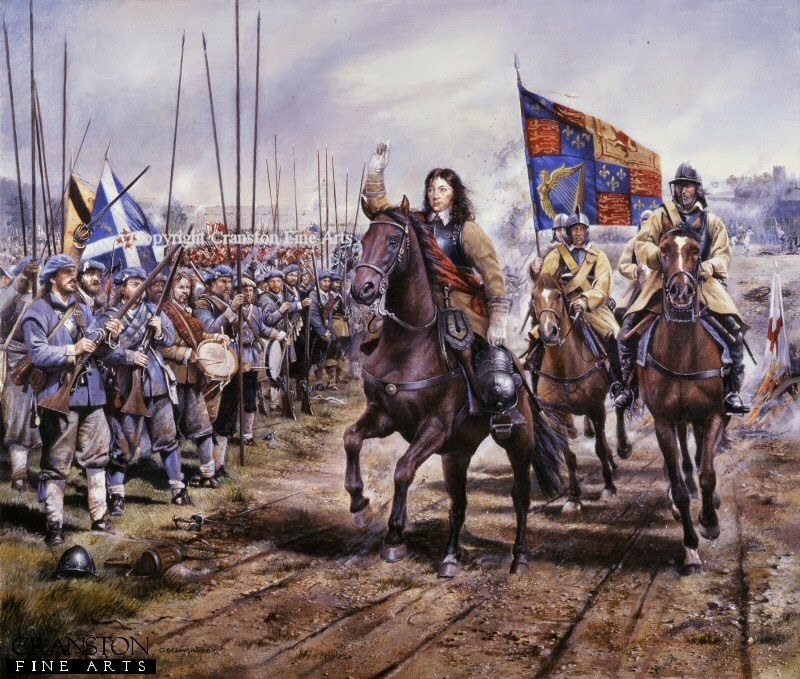 Charles II rides out to lead his army. Including many Scots who fought on his side. 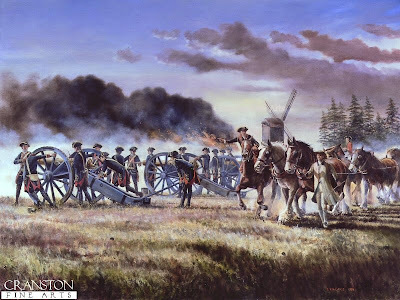 The Battle of Minden, 1st August 1759 by David Rowlands. 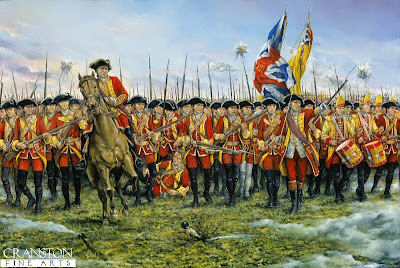 The 12th (Suffolk Regiment) at the Battle of Minden.1st August 1759 by Brian Palmer. During the Seven Years War (1756 - 63) a large French army of 52,000 men commanded by Marshal Contades moved from the Rhine to take Minden and threaten the Electorate of Hanover, one of Britains allies in the war. Ferdinand of Brunswick commanding an allied army consisting of British, Brunswick, Hanoverians and Hessen - Cassell troops numbering 42,000 stood in their way. The battle began at first light with the allies forming up in 8 columns preparing to advance. Due to a misunderstanding of orders two brigades, which included the 12th, went into the attack before the rest of the line had properly formed. 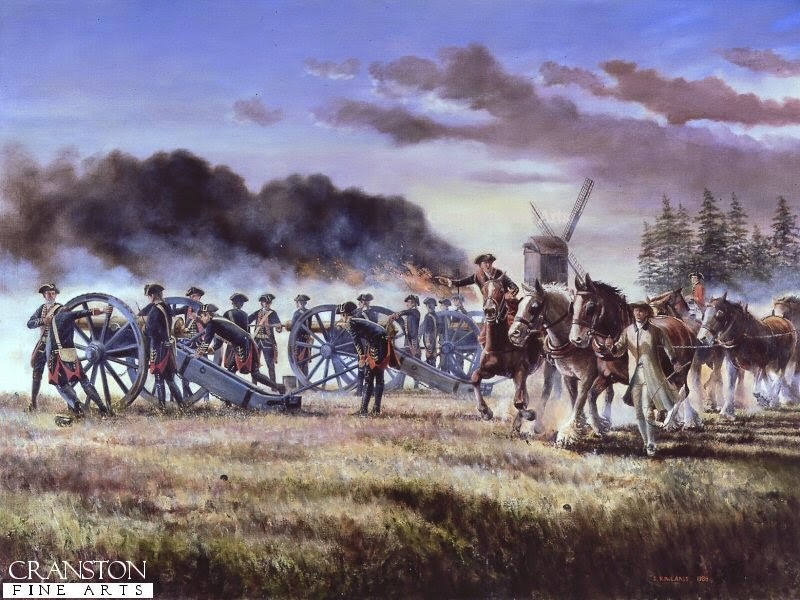 With drums beating and colors flying they launched a frontal attack on French cavalry, and against all odds held firm and threw them back in confusion. By this time the rest of the infantry had arrived in support and the French army was routed. Minden is remarkable for this unique attack by infantry in line against a mass of cavalry.